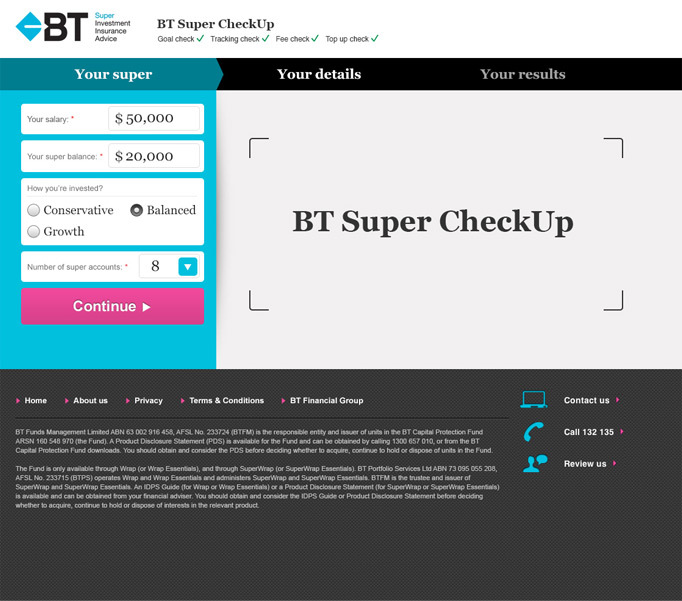 Design and development of BT Super Checkup. Just in time for tax time. 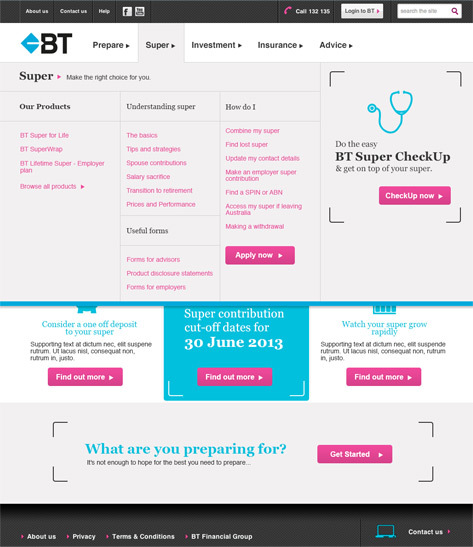 Scope, design and develop a responsive tool to allow users to understand the state and trajectory of their superannuation, with the tools to understand how to change the trajectory. Responsive design for desktop, tablet and mobile. 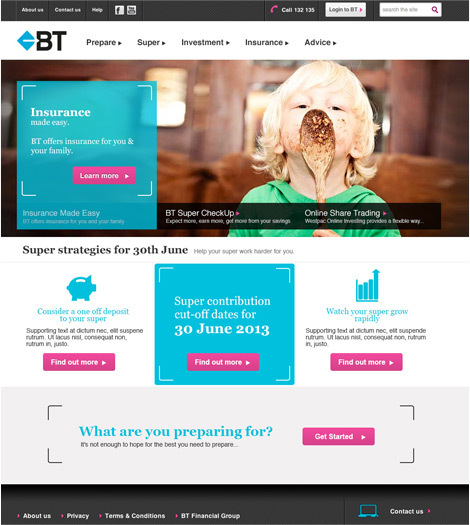 Hands up if you’re on top of your super? Consolidated to just one account? Topping up at the right rate to make sure you retire with exactly what you need for a comfortable retirement? If you are, well done and kudos to you. If you’re not, you are like millions of Australians lost and blind to their superannuation. 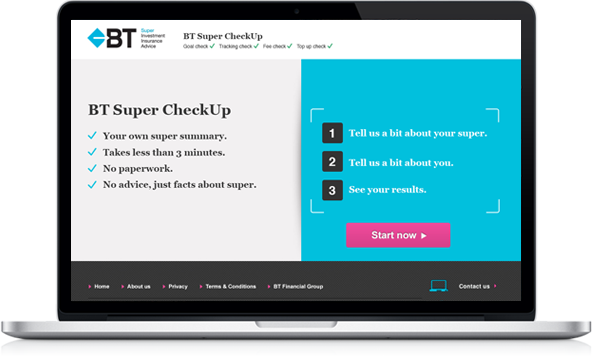 The BT Super Checkup tool – designed and developed by Wiliam – is an all-in-one, pocket-sized website that helps Australia’s understand where they stand on super, where they should stand and how to bridge the gap. Now there is no excuse not to be on-top of it.